ERGObaby Carrier Archives « Breastfeed.Babywear.ClothDiaper.Naturally! Breastfeed.Babywear.ClothDiaper.Naturally! Who are the members of your family? 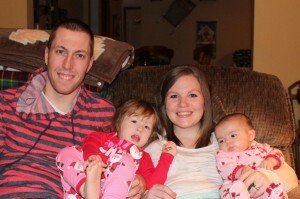 Andrea (me), my husband Joel, and our 2 daughters, Tessa, age 2.5 and Nora, age 6 months. How did you meet your significant other? We first met playing t-ball and grew up together in school. We started dating after being in Marching band together during his freshman year of high school. He played the quads, I played the bass drum in the drumline. What do you and your family like to do for recreation? We are a very athletic family. We love to play sports, watch sports, and be outdoors. We enjoy camping, walks, and playing outside. 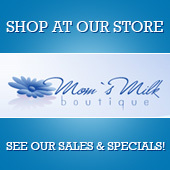 What is your favorite Mom’s Milk Boutique Product? I have so many. 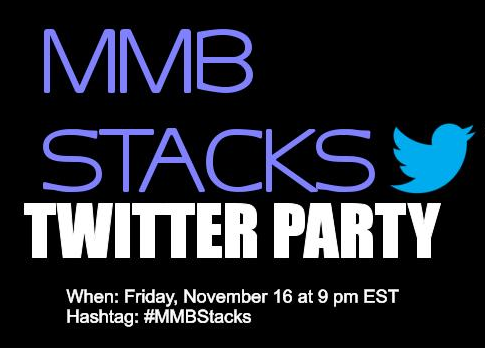 I started at MMB with just a few diapers. I now own what feels like half the store. I love the Ergo, Lactasties, CJ’s BUTTer, MotherLove diaper rash cream. I’ve recently starting using fitted diapers and I really like the Kissaluvs. Of course, my newborn stash was one of my favorites to build because they are just so cute and small. What is your favorite baby carrier and why? I love my Ergo. It is very sturdy and tough, it’s been through different kinds of weather and other wear and tear and holds up very nicely. It’s easy for both my husband and I to use on either of our children and they are safe, secure, and happy in it. What goals do you have for your family in the next year or two? Start a garden this spring, hopefully have a 3rd child, continue with our Dave Ramsey debt snowball payoffs. Describe your daily routine: I get up at 4, pump, shower, get ready, and leave for work by 6:15. My husband gets the kids up, drops them off at daycare, and comes home to pick up the house. He leaves for work at 11:45. I get off at 3:30, work out, go home to start dinner, pick up the girls from daycare and serve dinner. Then we do bathtime, get the girls ready for bed and my husband gets home at 8, just in time to help tuck the girls in and get them asleep. What has been your toughest challenge as a mom so far? Meeting the needs of everyone. It’s important for me to be a good, attentive mother, but I also don’t want to lose my identity as a wife or myself. Balancing all those simultaneously is tricky. What are some of your favorite “me” time indulgences? I love to go wander around Target. I also love (and miss) coffee dates with old friends. What is one of your favorite quotes? Be here to bless, not impress. Thanks Andrea for sharing your family with us! I am excited for your plans to grow both a spring garden and a 3rd baby, lol! Wishing you the very best on both accounts. Friday Family Spotlight: Meet Amy’s Family! I am excited to introduce you to Amy and her family! I absolutely LOVE the story of how she met her hubby…it would make a cute scene in a book or movie. 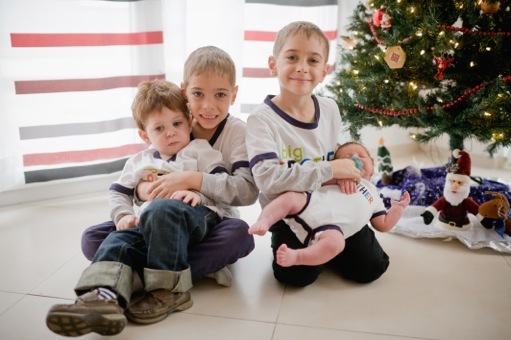 Read on to learn more about Amy and her awesome traveling family! Who are the members of your family? 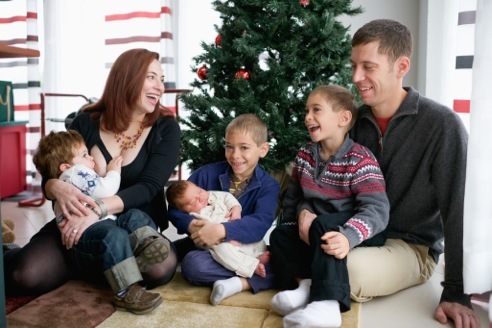 Amy (Mommy), George (Daddy), twins Alex and Drew (6 ½), Ethan (2), Victor (3 months). And our 2 cats, Felix and Persephone. How did you meet your significant other? At an art museum, where we got into an argument over the merits of modern art. I won, and he bought me a tea at the cafe. Our whole house is now decorated with modern art. What do you and your family like to do for recreation? We travel! My husband is Active Duty Army, and we are stationed in Germany. We’ve lived here for four years and one of our family goals is to see as much of the world as possible. My twins had seen as many different places by age 3 as I had by age 30, and I’m so grateful for the opportunity to share so much of the world with our kids. 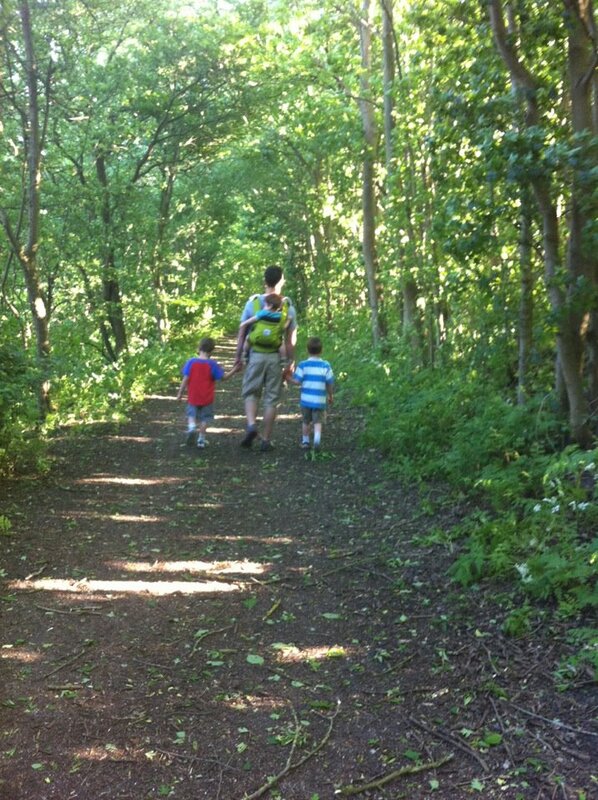 Below is a photo I took last spring of my husband and the boys walking through the woods in The Netherlands. 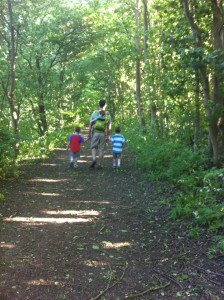 (Husband’s sporting the Ergobaby Performance Sport, which is his favorite carrier!) We also take a trip every winter to the Alps, where my husband snowboards, the kids go to ski school, and I go to the spa–very recreational. What is your favorite baby carrier and why? My favorite is the Beco Butterfly II, because I can carry my toddler on my back and barely even feel him, and I can easily get the baby in and out. I also love that you can put an older baby in the “pocket” part and put the carrier on like a backpack–so much easier for when they can’t yet climb on your back! Describe your cloth diaper stash: Mostly Gro-Via shells and inserts, although we’re adding in Best Bottoms. I have a few Blueberry and Thirsties shells, and a mix of inserts, but so far the Gro-Via and Best Bottoms work best for us. (I love that I can lay the BB inserts into another brand of shell and they still absorb everything.) We’re looking at trainers for the very near future, and I’m hoping to try the Blueberry trainers. What is the best and worst parenting advice you have ever been given? The best advice was from my mom: “Trust your instincts.” The worst was from a lactation consultant in the hospital where my twins were born. 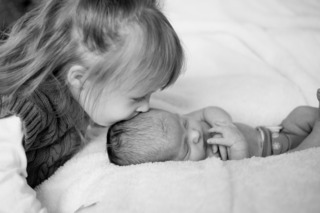 They were premature and receiving gavage-feedings in the NICU with my milk. She was very upset that I was only using a manual pump (the electric never worked for me), and she scolded me “If you don’t learn to use the electric pump, you will NEVER make enough milk for two babies.” I never used an electric pump and my twins nursed exclusively until 4 months, and continued on only breastmilk (no formula) until they self-weaned at 19 months. Glad I followed my mom’s advice! What goals do you have for your family in the next year or two? The first goal is to survive colic. Our youngest is very colicky and it’s hard on everyone. Once we get past that, we’re hoping to do some more traveling. We want to go to Turkey, the Czech Republic, Berlin, and Poland in the next couple of years. Describe your daily routine: I have a 3-month-old. Once I get the big boys off to school and the toddler to preschool, we go with the flow. What has been your toughest challenge as a mom so far? Having a colicky baby. I think it’s more challenging because this is our 4th. We thought that since we survived preemie twins (brutal!) 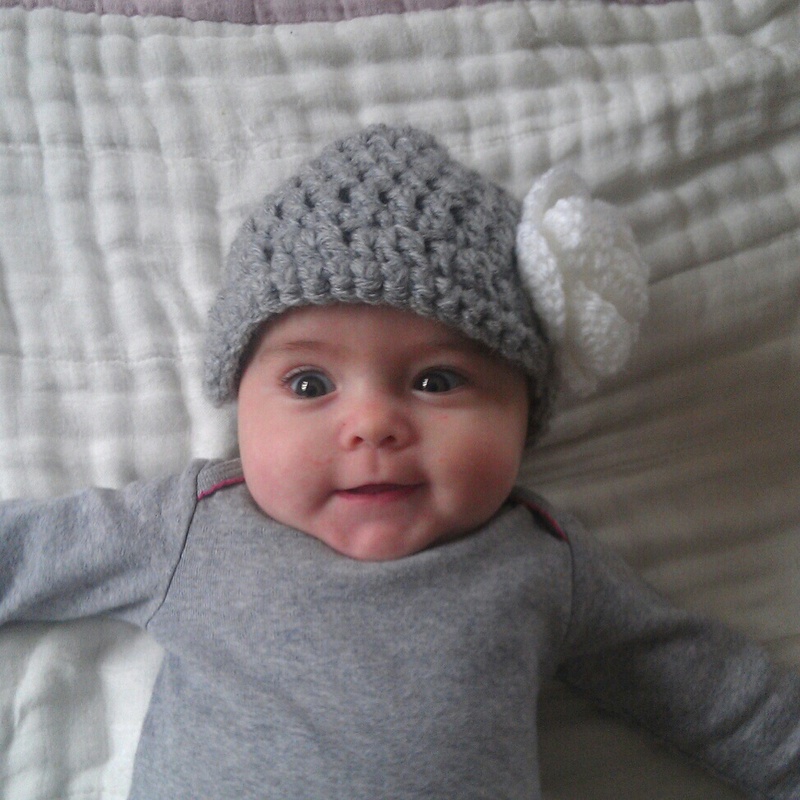 and already had a single baby (easiest baby in the world), that we were prepared to have another one. He’s starting to come out of it, but the nonstop screaming for hours on end has been extremely hard on everyone. I feel terrible that I can’t do anything to make him feel better (and we have tried EVERYTHING), and I feel terrible for the older kids too. The screaming is hard on them, plus Mommy is always pre-occupied with the baby. It’s definitely a tough transition. I’m so grateful that my 2-yr-old is still nursing, because at least we can tandem-nurse and he gets his mommy-time in (and the baby isn’t screaming then). I try to find time to spend with each of my older boys as well. What are some of your favorite “me” time indulgences? Massages and pedicures! Also, I keep large scented candles, and I almost always have one burning. I like soothing scents, like lavender or apple pie, to warm up the whole house. What’s your number one secret for stretching a dollar? Going from hybrid-diapering to all-cloth is saving us a lot of money! I was afraid to try all-cloth for a long time because we have a German washer and dryer, but once I saw how much we were going to have to spend each month to hybrid-diaper two at once, it made a lot more sense to go all-cloth. The laundry isn’t nearly as bad as I was afraid it would be, and we are saving over $60 a month not buying the Biosoakers. If you could have any superpower, what would it be? I already have superpowers, are you kidding? I make milk! For two babies! At the same time! I also teach children’s theatre classes in the summer time, occasionally act and direct in our local theatre, and I’m on the board of directors for our community peer breastfeeding organization, Mom2Mom KMC, so I have the added superpower of being able to go on 3 hours of sleep for about 4 days… If I could have ANOTHER superpower, it would be the ability to create extra hours in the day when I need them! Wow, Amy you DO have superpowers!! Thank you so very much for sharing your family with us. We wish you all the very best and may your travel adventures resume soon as your youngest son grows! ERGObaby has so many awesome babywearing accessories including THIS Front Pouch designed to attach to any ERGObaby Carrier. The front pouch velcros to the waistband of the ERGObaby carrier when worn in any position; front carry, back carry or hip carry. This is a convenient way to stash items you want quick access to such as keys, cell phone, wallet, chapstick, pacifier, etc. I use my pouch to store my camera so I can grab it quickly when the need to capture a special moment arises. Plus I like always having an exact place to put my camera. I was forever putting it down and losing it during outings with kids before investing in a pouch. 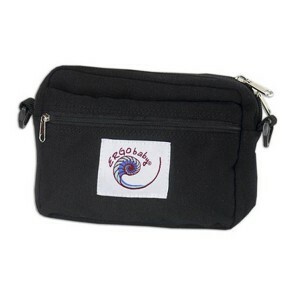 The ERGObaby Front pouch has two exterior pockets; one with zipper closure and an interior keychain hook. Another cool feature of the ERGObaby Front Pouch is that it has a shoulder strap so you can use it without your ERGObaby carrier. The front pouch is a great addition to the ERGObaby Carrier hands free system! Would you like to win a FREE ERGObaby Front Pouch? Enter this week’s giveaway below! Winner will be announced on Sunday, January 13. Winner will be notified via email and is asked to reply within 48 hours to claim prize. 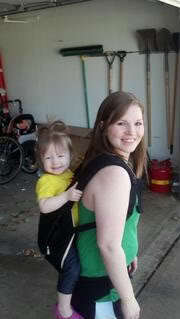 The ERGObaby Carrier is one of my all-time favorite carriers. I have been using an ERGO with my boys for over 5 years now! A friend of mine who has the most gorgeous 6th month old recently asked me how I do the front carry in an ERGObaby Carrier. So like any normal friend would do, I made a video blog post to answer her question, lol!